The production under the direction of Peter Evans, As­sociate Director of Bell Shake­speare, is set in the present; and while the dress code may have shifted from the toga to the suit, the dynamics of power play certainly haven’t changed. 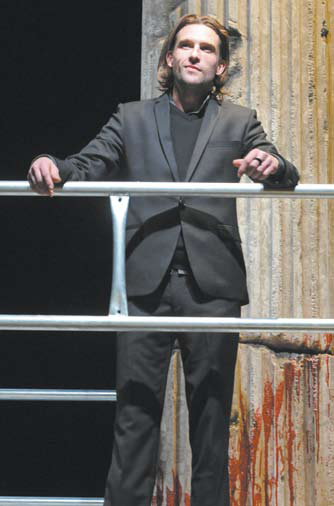 Using a number of stylistic devices, including complex choreography and movement (remember the original cast had 40 male and 2 female char­acters) and the choice to cast a woman to play the role of Cassius (Kate Mulvany), it cer­tainly will be interesting to see how Evans’ direction translates into a modern production with Alex Menglet as Caesar at the helm. Will this be a produc­tion that lifts the veil on one of Shakespeare’s most renowned historical plays? “This is an exceptionally well written and well portrayed work and while the language is more modern than the original Elizabethan, we still pay atten­tion to meter and rhythm and other dramatic devices. Ulti­mately, what an audience re­ceive is virtually the ‘heart’ of Shakespeare’s Julius Caesar. Hey sweetie you’re website is gem! Thanks for keeping it simple.